The Brexit vote is being called very close, although the punters are betting heavily on Remain. The polls have shown great divergence whereby people who answer questions on the phone suggest higher Remain support than polls conducted on the Internet. TNN believes this is a function of tawdry shaming and gaslighting, where people hold private views that are in stark contrast to what they might reveal to a stranger in public. People also sense the presence of the police state. This extends to nationalist politics and even the phenomena of the “truther movement” involving hoaxes and false flags. Privately, most people can see thoroughly the fraudulent “Nazi” narrative spewed forth after the Jo Cox assassination. But they wish to keep their public view under wraps. TNN contributor Russ Winter recently reported this observation concerning friends, who told him a completely different view in person and privately than he was getting from them in other communications. 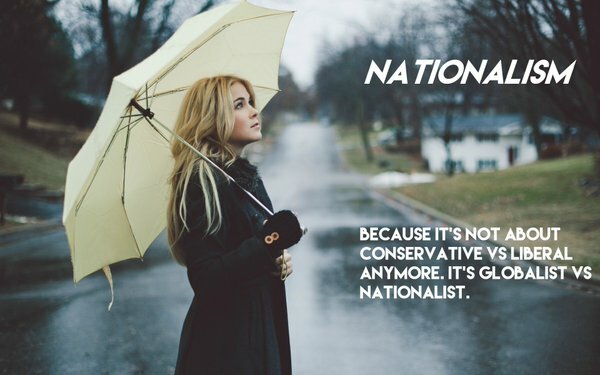 So the good news is that there are far more closet new nationalists than anybody can imagine. Although it is not a tidal wave, they are also tuning out the globalist cabal-run media more and more. Despite the heavy handed fear reporting by the (((controlled media))), TNN believes this is having only marginal effect. We are seeing these in recent election results as in Austria and Rome. The bad news is that in all the so-called western “democracies,” there is hijacking of the electoral process via ballot box fraud, process rules and other skulduggery. A successful Brexit vote isn’t even binding. The same can be seen in the U.S., where Donald Trump’s successful campaign at the ballot box is being usurped and disrupted in backroom maneuvers and gaming going into the convention. Verdict on Brexit vote: In reality, the Brexit vote succeeds by a narrow margin. This will be reported similar to the Scottish referendum and Austrian Presidential election as faux “democratic” voting fraud that gives Remain a winning margin of several percent. For more on voting tampering see the excellent documentary, Hacking Democracy.